The road to chronic disease — from arthritis to Hashimoto’s hypothyroidism — is paved with sugar and refined carbohydrates. It’s a freeway that leads straight to insulin resistance syndrome, given the right conditions, most notably being overweight and inactive. 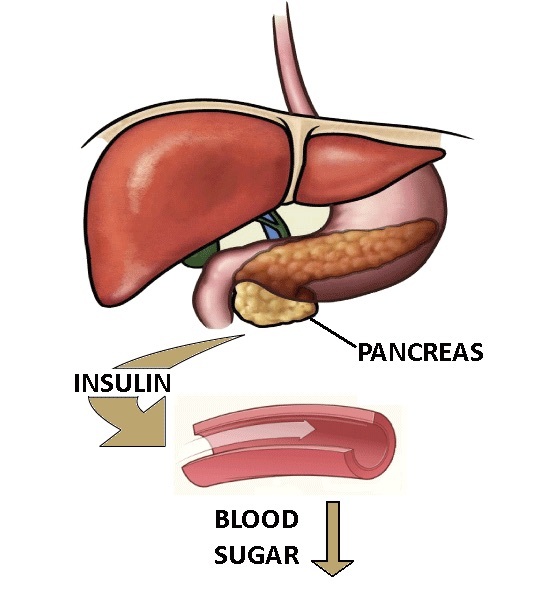 Beta cells in the pancreas make and secrete insulin to ferry any glucose you don’t use to muscle, fat, and liver cells for storage. Eventually the beta cells can’t keep up and insulin levels plummet. Now your bloodstream is flooded with glucose, which damages nerves and blood vessels, causes inflammation, and leads to a host of autoimmune and chronic diseases such as Hashimoto’s hypothyroidism, heart disease, and dementia. The sooner you give those beta cells a rest, the better your chances of avoiding insulin resistance and diabetes. This will go a long way to helping you better manage your Hashimoto’s hypothyroidism. The intervention is simple but not easy if you’ve spent a lifetime eating processed foods and drinking sodas. Eat whole, “real” foods made with ingredients you recognize and without pesticides, additives, or any ingredient you can’t pronounce. Eat seven to 10 servings a day. A serving is a half cup or, for lettuce and leafy greens, a cup. Regular exercise, particularly high intensity interval training, makes muscles more sensitive to insulin. Sleep well, night after night. Sleep deprivation promote inflammation and obesity.